Cleartec Packaging has recently completed tooling on a line of inner-fit polypropylene hanger plugs. 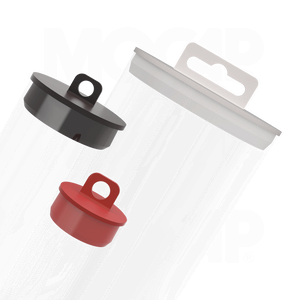 These hanger plugs, when used with our thin wall or sealed bottom tubes, are designed to provide an attractive, low cost retail packaging solution. The plugs are easy to insert and secure once attached. Available for 13 of our tube sizes, the plugs are stocked in red, black and natural colours. Other colours are available if time permits. Available for 10.7mm, 13.9mm, 16.2mm, 18.1mm, 20.5mm, 23.9mm, 27.8mm, 34.6mm, 41.8mm, 46.2mm, 52.6mm, 65.3mm, 78.4mm size tubes.